Radar, Loughborough University’s in-house arts initiative, presents a week of artist-led workshops exploring process of working that cross disciplinary and methodological boundaries. 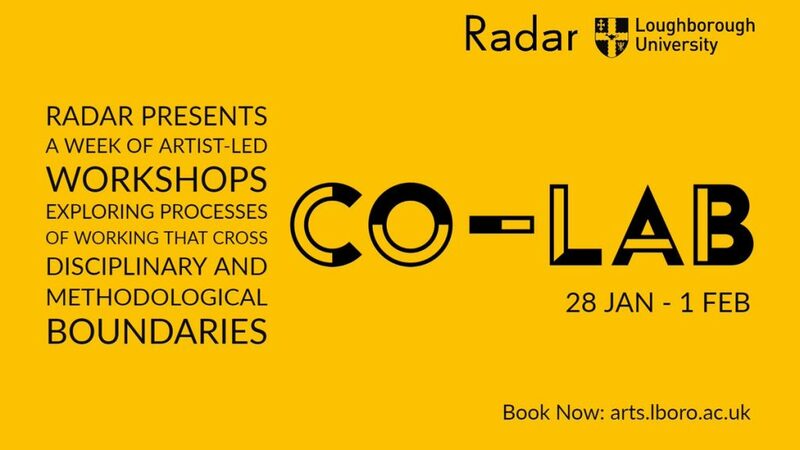 Co-Lab is a week of workshops organised by Radar to explore a range of contemporary issues. They’re led by leading artists who work across disciplines and are designed to provide insights into different ways of creatively approaching a range of topics: from architecture for the social good to poetry to ceramics to coding. You’ll learn new skills, meet people from a range of backgrounds and be encouraged to think about problems differently. 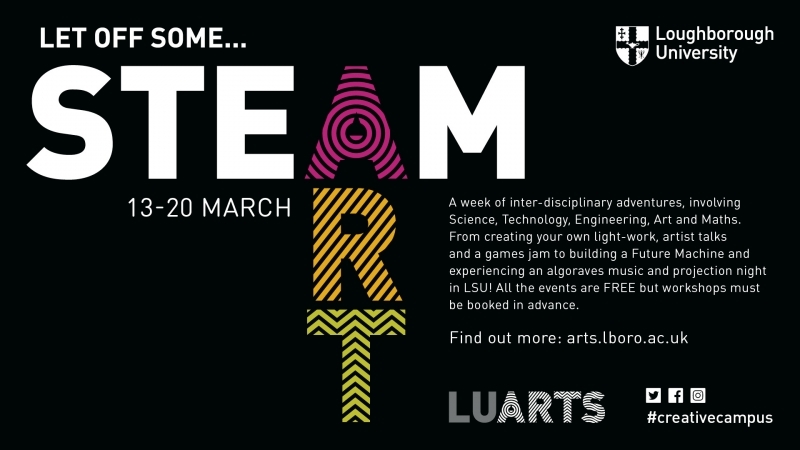 Co-Lab is open to all Loughborough University students, regardless of their artistic skill or experience. 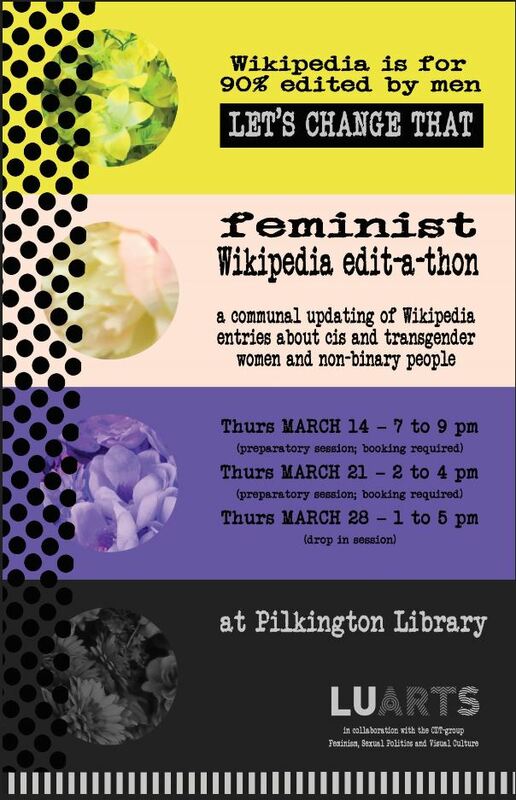 Sessions are free. There’s a £3 deposit per session, which is refunded after you attend. There’ll be a trip at the end of the week which may require a larger deposit. 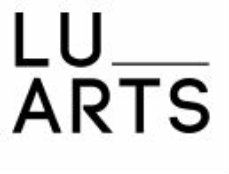 Loughborough University Arts is hosting a free exhibition in the Martin Hall Exhibition Space this summer. For & Against: Art, Politics and the Pamphlet is a collaborative project between Radar and Loughborough University academics Dr Gillian Whiteley and Dr Jane Tormey, RadicalAesthetics-RadicalArt (RaRa). This engaging programme responds to research into the political pamphlet and the relevance of the pamphlet for contemporary art practice. It has comprised a series of public workshops, a symposium, a Charnwood Museum exhibition and Pamphlet Day, a day-long public event in the town centre. Jane Tormey and Gillian Whiteley are working on a forthcoming edited book, ‘Art, Politics and the Pamphleteer’, to be published in the RaRa series by Bloomsbury. This exhibition shares elements of this project, including new pamphlets by artists Patrick Goddard, Ferenc Gróf and Rory Pilgrim, commissioned by Radar; a selection of historical pamphlets from the Art of the Pamphlet exhibition; documentation of a series of pamphlet workshops led by artists Freee, Ruth Beale, Ciara Phillips and Little Riot Press and artworks inspired by For & Against workshops led by artists Chiara Dellerba and Sarah Green, and writer Alison Mott. The exhibition runs until 1st September. As part of the Politicized Practice Research Group Seminar Series, the School of the Arts, English & Drama will be staging Curating National Narratives in the new Radar ArtSpace next Wednesday 10th May. This joint talk by Sofia Mali and Marina Maximova will explore the different ways that national narratives are reproduced and communicated through exhibitions. It will examine the curatorial processes taking place in different settings: European national museums and the Venice Biennale. The event takes place between 12-2pm on Wednesday 10th May in the Radar ArtSpace in the Edward Barnsleu Building. Admission is free, but booking is required – to do so, email your interest to aed.research@lboro.ac.uk. The Radar Artspace at the Edward Herbert Building is hosting a new interactive project this Wednesday lunchtime (22nd March) between 1-2pm. Crazy Like Machines is a dance and visual art project with a social and political backdrop which aims to build an accessible and informal educational methodology to develop an innovative model of collaborative research and participatory performances. Pushing the boundaries between verbal and non-verbal communication to explore the role of immediacy and mediation in drawings and dance to create cohesion in the group, the audience is encouraged to be actively part of an ongoing creative process in the form of performative workshops in order to build a ‘personal and non-linear visual narrative manifesto’. Chiara Dellerba is a visual artist whose work experiments with the potential energy of the human body. Her pieces are often site-specific with an interest in the dichotomy between energy/movement, and time of reaction/determined space. Dellerba’s practice is an organic open work structure of experimentation using a system of signs and methodologies. She investigates the unconscious necessity for human beings to regenerate their lives, their environment, their relationships, and their way of perceiving a reality in order to be actively part of it. Radar celebrates its 10th anniversary this month with a display of artworks, printed materials, film screenings and events at the Martin Hall Exhibition Space. This anniversary gives Radar the opportunity to reflect on the breadth and depth of their broad range of interdisciplinary projects that have been initiated with artists and Loughborough University academics. 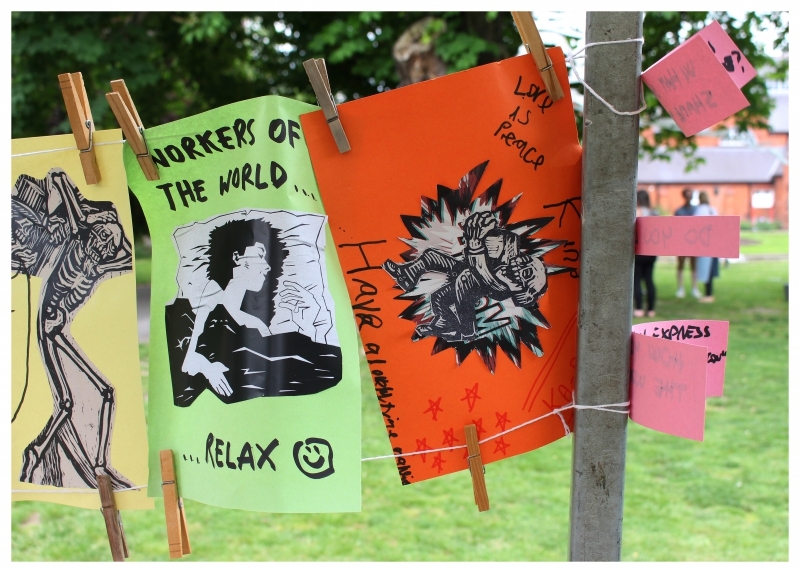 Through a series of highlights Radar shares examples of their project work that has had, and continues to have, great impact on Loughborough students, staff and local communities, as well as making a vital contribution to the wider cultural sector and economy. The Exhibition starts tomorrow, 13th March, and runs until 14th April. Opening times for the Exhibition are 10am – 5pm daily. Following 2014’s Talk Action programme, Radar has extended engagement with DARG (Discourse Analysis Research Group) with the production and presentation of a new work by Nicoline van Harskamp which continues her preoccupation investigating the global use of English by non-native speakers worldwide, and the imagining of the (aesthetic) properties of a future spoken global language. Englishes is a series of video works by Nicoline van Harskamp, that explore the widespread use and modification of the English language by its non-native speakers. The series depicts the development of the plurality of spoken English that displaces the perceived position of primacy occupied by dominant strains of the language. It addresses the political import of this linguistic development, and proposes a dissolution of English into “Englishes,” co-opting it as a common and ever-growing linguistic resource, as well as a medium for artistic practices. Nicoline van Harskamp has undertaken a series of ‘language experiments’ with art institutions and universities across Europe. In Loughborough, she worked with the Discourse and Rhetoric Group (DARG) and produced the video “Apologies and Compliments” that was first shown as part of a major exhibition at BAK in Utrecht, Netherlands (24 September – 20 November, 2016) and at the Center for Contemporary Creation Andalusia in Cordoba, Spain (19 December – 16 April 2017). To complete her commission with Radar, Nicoline hosts a public event, Englishes – A Conversation on Friday 24th February 2017, 1 – 5pm at the LU Arts Project Space on the 1st Floor of the Edward Barnsley Building. In this event, Nicoline van Harskamp will present several videos from the series and discuss them with the audience and invited guests. Dr Dalmasso has coined the term syncopolitics in response to Catherine Clément’s seminal book, Syncope – the Philosophy of Rapture, where she stresses that “syncope is spectacle, it shows off, exposes itself, smashes, breaks, interrupts the daily course of other people’s lives, people at whom the raptus is aimed.” Dr Dalmasso will look in particular at how the image of syncope and the syncope of the image might radically displace or dissolve the self and thus offer strategies of resistance against norms through renouncement or disappearance; a recess of the image that he considers as a sine qua non condition for thinking politics as what can only happen within a horlieu (an out-place or non-place) of representation: a syncopolitics that resonates with what Badiou calls inexist[a]nce. 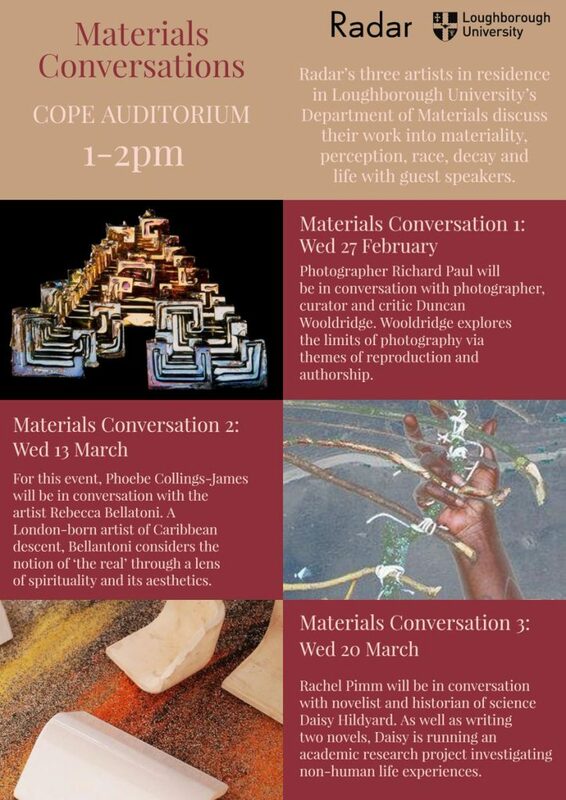 The discussion will be taking place in the Radar ArtSpace in the Edward Barnsley Building on Wednesday 15th February between 2-3pm. Entrance is free but booking is required – please email aed.research@lboro.ac.uk if you would like to attend.